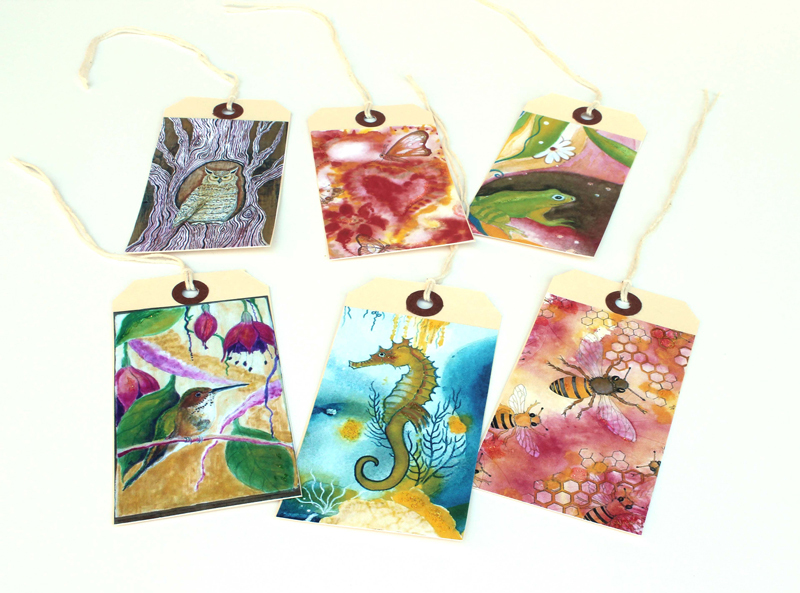 Twig Gift Tags dress up any present. They are made by hand and lightly glittered to sparkle up a birthday package or hostess gift. 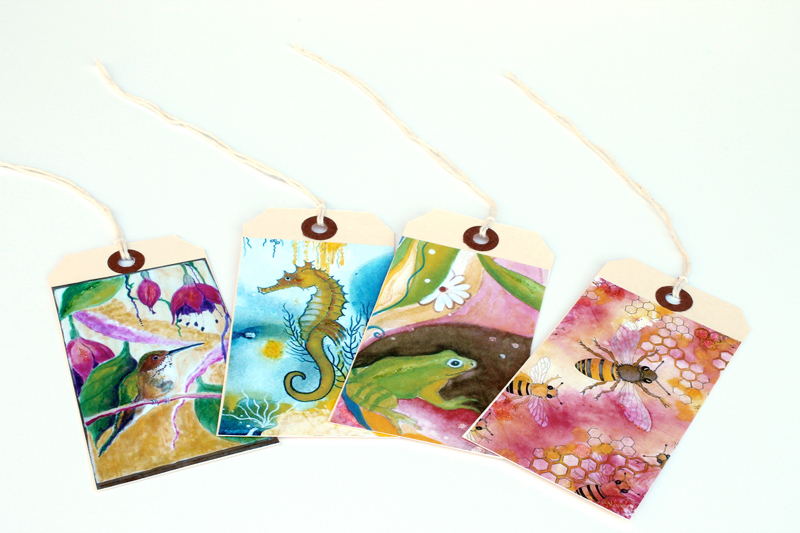 A set of tags is a perfect stocking stuffer. Choose from Theresa’s original watercolor illustrations or seasonal Victorian postcard images. 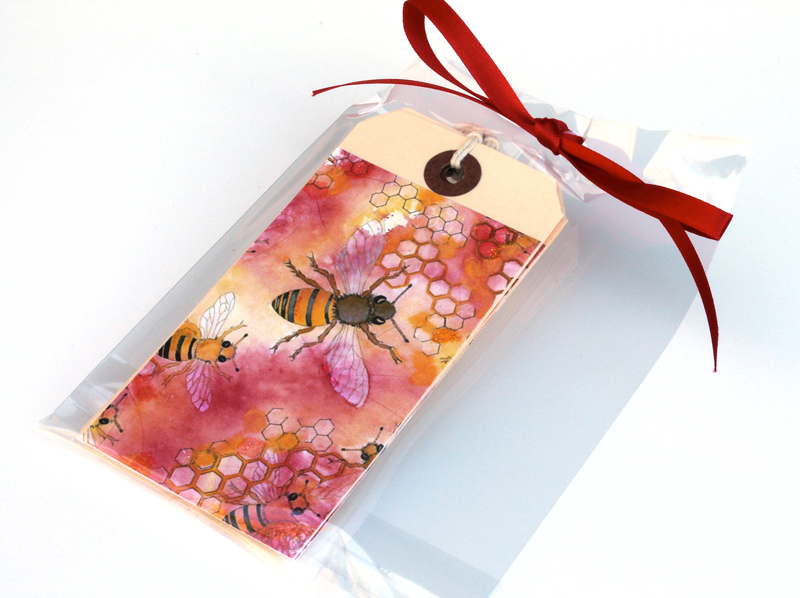 Each set is packaged in a clear sleeve and tied with ribbon for easy gift giving. Straight run of one image or variety pack. Measures 4 ¾” x 2 ⅜” strung with baker’s twine.